PASADENA, CA/USA: February 21, 2016- A colorful fruit stand at the Pasadena California Rose Bowl. 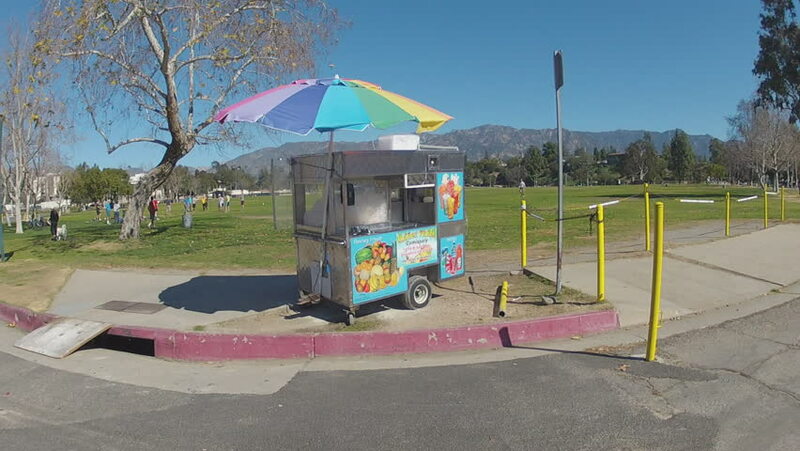 A portable street vendor fruit seller kiosk provides healthy snacks for park patrons. 4k00:224k Passenger POV from car driving along and overlooking beach, taken on The Esplanade, Semaphore, South Australia, time lapse. hd00:07Running - Back view of asian children runner in sportswear jogging in public park. Kindly brother taking care his sister, outdoors with bright sunlight on summer day. Healthy Lifestyle. hd00:06Young man doing a trick on a skateboard in a skate park. hd00:08Barcelona, Spain - June 11, 2017. POV. point view of tree with red berries falling on the ground.